Interesting and useful update to the contenders who are waiting for TS POLYCET Online Application 2019. Candidates have to fill the online application & submit it through online. Eligible aspirants can apply for Telangana Polytechnic Exam on or before the last date. In this article, we are providing complete information about TS POLYCET Online Application which is given below. Complete TS Polycet Online Registration process before the due date in April 2019. Latest Update: TS POLYCET Applications Started on 14th March 2019. Candidates can Download TS POLYCET Hall Ticket soon after filling the online applications. 1.3.1 How to Apply Online for TS POLYCET 2019? 1.4.1 How to make corrections in submitted Telangana Polycet Application? The Telangana State CEEP Online Applications are available here. Candidates who are looking for the TS POLYCET 2019 Applications can get them here. We have provided the TS Online CEEP Applications and the application filing process detailly. Thus it would save the time of TS POLYCET Applicants. Willing candidates must read the all CEEP Application process carefully once before filling. Aspirants must complete the Telangana State POLYCET Application Process on or before the last date. Once the CEEP Application Reception date has closed, then no applications will be accepted. So, candidates keep it in mind and submit the applications before the closing date. TS POLYCET is also known as Telangana State Polytechnic Common Entrance Test. It is a State Level Polytechnic Exam in Telangana. Every year this Common Entrance Exam for Polytechnic is conducted by the SBTET, Telangana for aspirants to provide admission to top colleges in the state. This year also State Board of Technical Education & Training has announced the notification for the admission in the relevant stream. TS Polytechnic 2019 examination would be organized in the month of March 2019. And the applications for the same would be starting from March. So aspirants who are eligible can apply online for TS POLYCET Exam. Name of the Organisation State Board of Technical Education & Training. Exam Name TS POLYCET (CEEP) 2019. Name of the Course Diploma Course. Notification Status 3rd March 2019. Date of Examination 16th April 2019. The TS POLYCET is conducted by the State Board of Technical Education and Training (SBTET), Department of Technical Education, for admitting candidates in different diploma courses. If the students interested in getting admission into one of the top colleges of Telangana, then they need to appear for the Common Entrance Test and clear it first. Hence the students who had completed 10th Class/ SSC successfully and preparation to get a seat in the Diploma Courses need to write the Polycet Exam and get a good Rank. The Seat allotment depends on the Rank gained in the Telangana CEEP Polycet 2019. So, start your preparation with the help of TS POLYCET Previous Papers & Telangana Polycet Syllabus 2019. The aspirant should be the citizen of India to perform for the Entrance Test. Candidate must belong to Telangana State. The candidate should have an age of minimum 15 years as of the examination year. The student must have cleared the SSC examination from the recognized board or equivalent. The aspirant who has appeared for the 10th board exam can also apply for the exam. Candidates who have appeared for the 10th board exam can also apply for the exam. The students with the 10th class from TOSS/ NIOS/ CBSC/ ICSC need to pass Mathematics, Physics & Chemistry with a minimum of 35%. The students with the 10th class from TOSS/ NIOS/ CBSC/ ICSC need to pass Mathematics, Physics & Chemistry with a minimum of 35%. Aspirants should pay the Telangana Polycet Application fees of Rs. 330/- for General Category candidates. Rs. 165/- for SC/ ST candidates. The online application forms for TS Polycet 2019 is available from the official website. Interested & Capable aspirants may apply online for the test on or before the last date through the official website www.sbtet.telangana.gov.in. For the convenience of the student Online filling of the application is facilitated by the State Board of Technical Education and Training. The student can approach any of the nearest ap online/ mee-Seva/ net banking/ helpline centres (Polytechnic). All the helpline centers will work under the guidance of the respective coordinator. Only online applications are accepted. Fill the CEEP Application form with all your details. Take a print out for the future purpose. How to Apply Online for TS POLYCET 2019? File TS Poly Cet Application. TS Polycet Online Application Status. After reading instructions carefully, start TS Polycet Registration Process. Click on “File Application” in the main menu. Enter your particulars and click on Show Application. Then, you can find the TS Polycet Online Application Form. Fill and submit the details. Save your Application number/ Registration ID which was generated upon successful submission of Telangana CEEP Application Form. The candidates who are applying online for the TS Polycet Exam 2019 have to pay the TS Polycet Application fee in Online. The individuals have to complete TS Polycet Exam Fee Online Payment before the last date. Telangana Polycet Application Fee: Rs.330/-. Pay the Telangana CEEP Application fee through Online by filling required particulars. You can pay through your Internet Banking/ Credit/ Debit Cards. Know your TS Polycet Application status in the same website itself. To know the Status of Telangana CEEP Online Application click on “Application Status” in Main Menu. 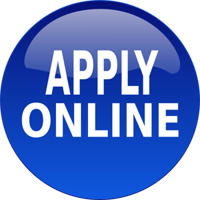 Enter your details and click “View My Application Status” Or “View Application”. The notification released on 3rd March 2019. The Application Form is available online from 14th March 2019. The students can submit online until 4th April 2019. Hall ticket is available to download from 1st week of April 2019. The POLYCET Exam conducted on 16th April 2019. Exam Results will announce on April 2019. If in case, if you have entered any wrong details by mistake in the TS Polycet Application Form 2019 don’t worry! you have the option to change them. Follow the below steps to correct your mistakes in the Telangana Polycet Online Application form 2019. How to make corrections in submitted Telangana Polycet Application? Go through the Edit Application/ Make corrections. Make corrections and also save the details. Finally, take a printout of the application after corrections.